Thank you to the families who supported our first Playdate with a Purpose, benefiting the Prado Day Center in SLO. 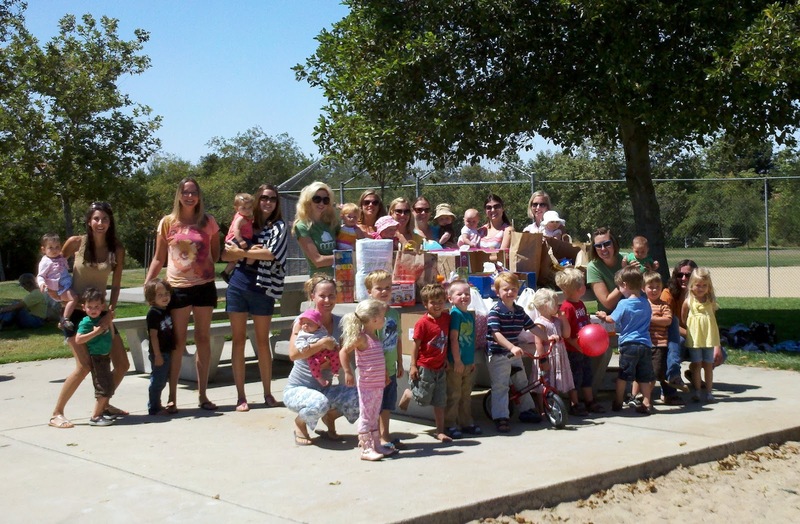 We had a great turnout at Islay Park on Monday, July 30 with an impressive amount of donations benefiting children. Teaching the kids why they couldn't eat the goldfish cracker donations was part of the fun! We enjoyed hearing how each family discussed the topic of our neighbors in need with their kids. Prado Day Center serves the homeless population during the daytime hours when the shelter is closed. During the summer when schools are out, the number of kids at the center increases dramatically. Countywide, children under age 18 account for 49% of our homeless population.